Ooh, I love rose time. My Souvenir de mme Leonie Viennot literally smothers my picket fence at the front of my house at this time of the year. In fact, I’ll have to cut it back quite a bit this season because it’s actually pushing the fence over! The rose has been there for years (I planted it when I first got here) and it flowers freely each year for most of the year, with its peak in November (late spring) and early December, depending on the weather. But there is always a good smattering of roses after a good dollop of rain at any time of the year. 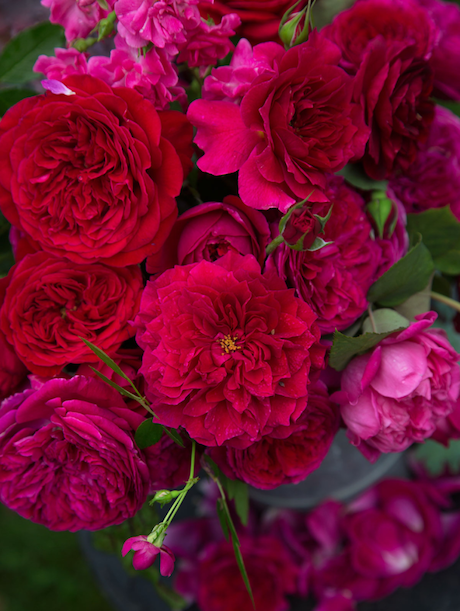 Another favourite is Gertrude Jekyll (third image from top, by Carolyn Parker), though the David Austin reds are also divine (top image, also by Carolyn Parker). Pictured are Tradescant, in the centre, Falstaff above that, and The Prince below. 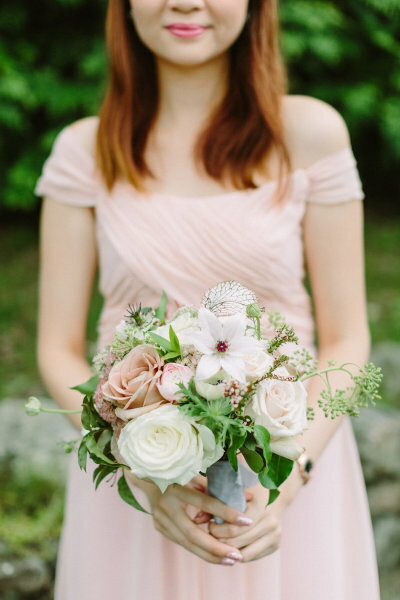 I enjoy mixing rose colours too, as in these wedding bouquets. 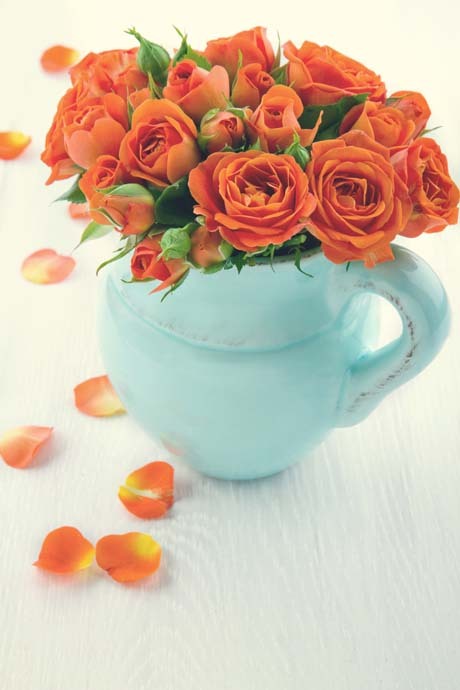 Make sure you keep your roses well watered this summer. A parched rose will attract bugs and make it more susceptible, in its weakened state, to disease. 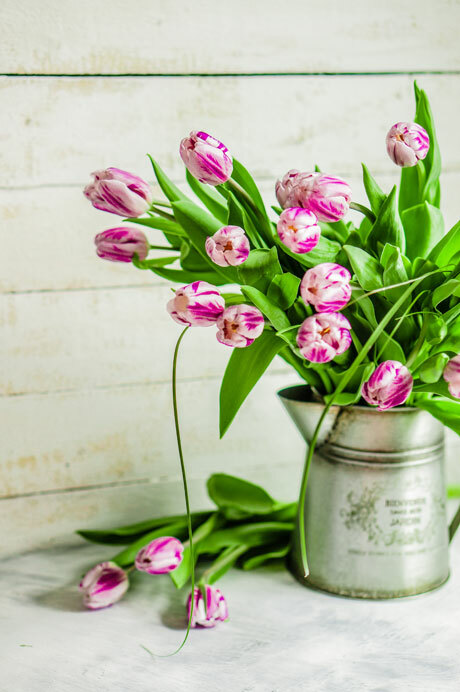 Tulips and roses are looking good right now. 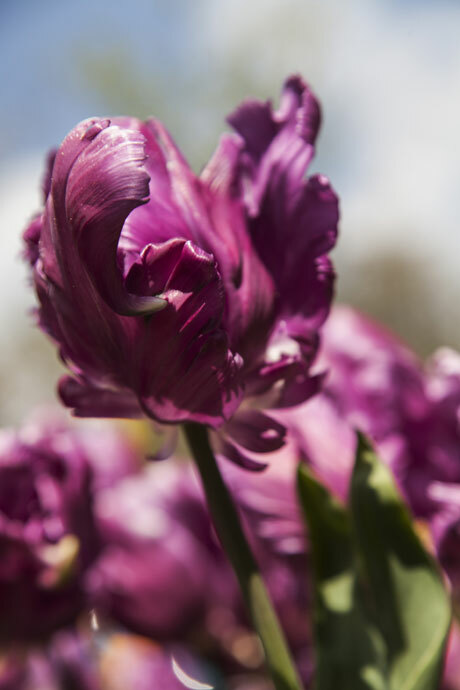 What’s blooming in your patch? 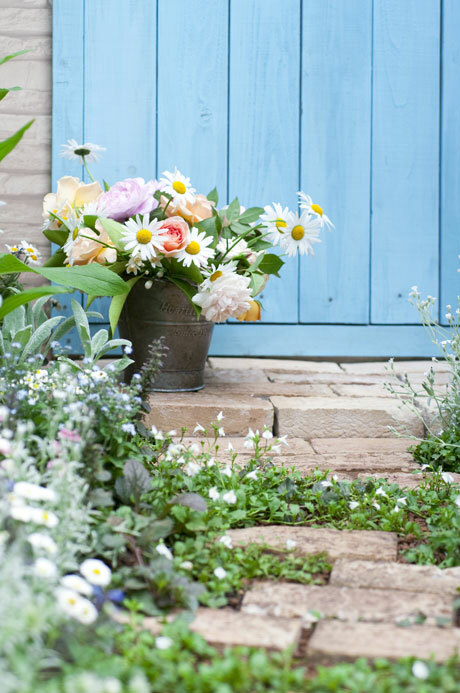 Head to your flower borders and throw together a bouquet of seasonal summer blooms. In my garden there are plenty of hydrangeas and roses – and down the road a snip of eucalyptus leaves (with the neighbour’s permission) pads it out. What’s flowering in your patch right now? 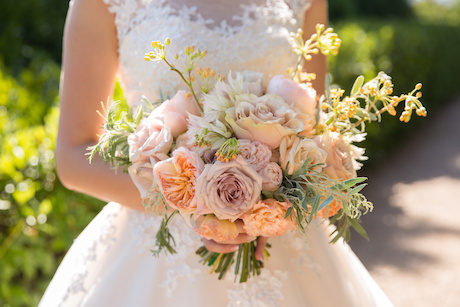 I luuurrrrve this bouquet by Joy Proctor. 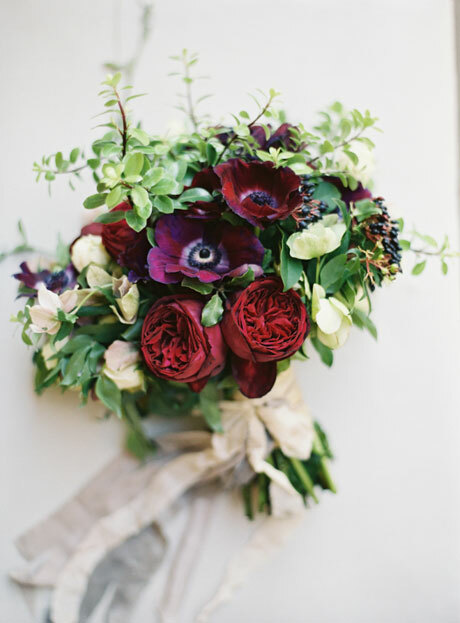 It’s so very pretty with the burgundy anemones and deep red cabbage roses. 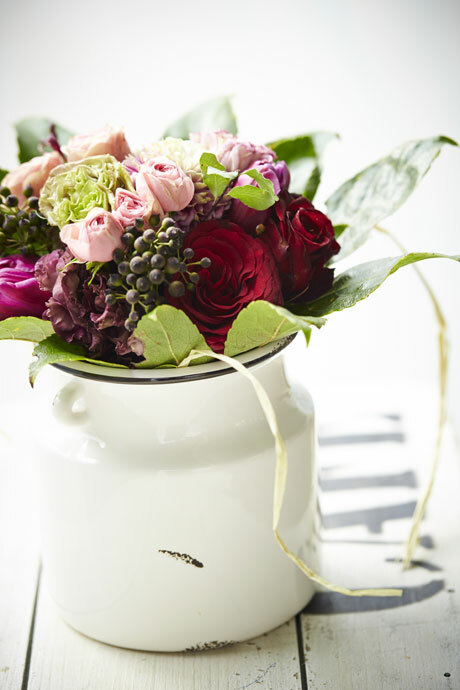 It’s tied together with black berries, sweet peas and lovely mid-green foliage. Gorgeous! 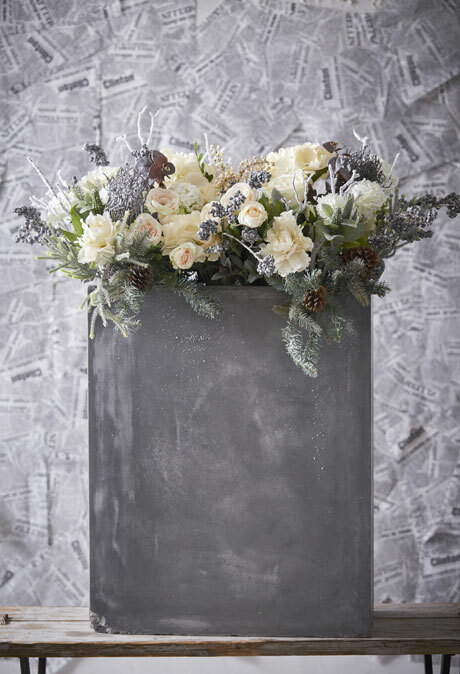 See more of this moody design that was created for a film photography workshop over at Style Me Pretty. 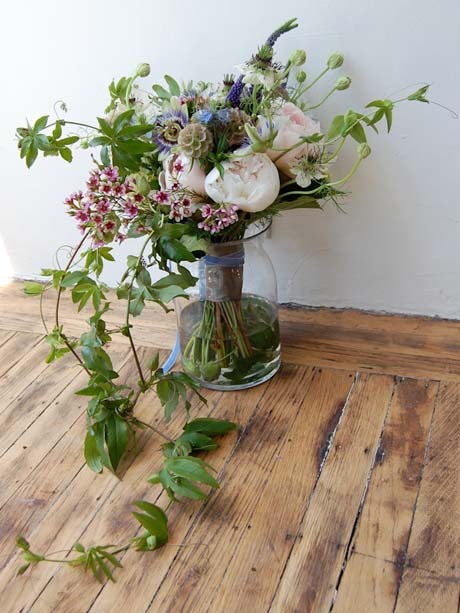 A quick summer posy. 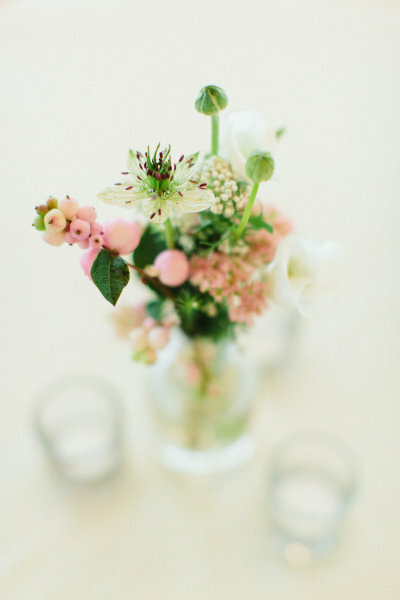 Virtually anything looks good in a vase with daisies or roses – and a posy of both looks divine. So country chic. 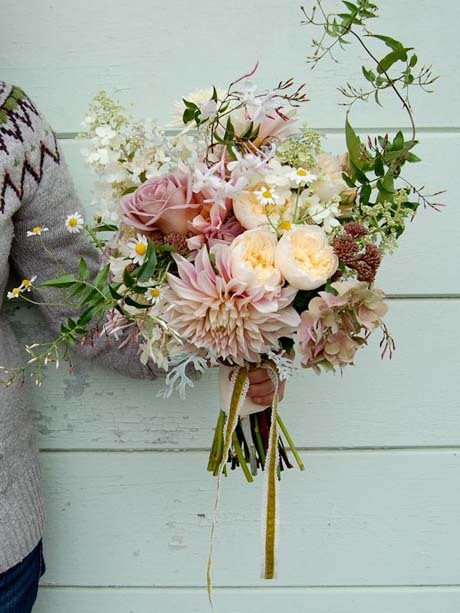 I adore dahlias, and so does Studio Choo, who put together these gorgeous bouquets. 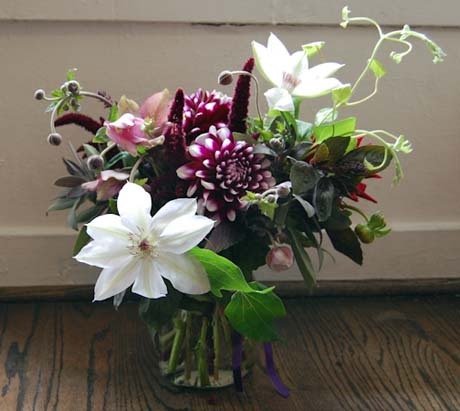 The top image has dahlias, roses and hydrangeas, among other blooms; the middle one has dahlias and clematis. 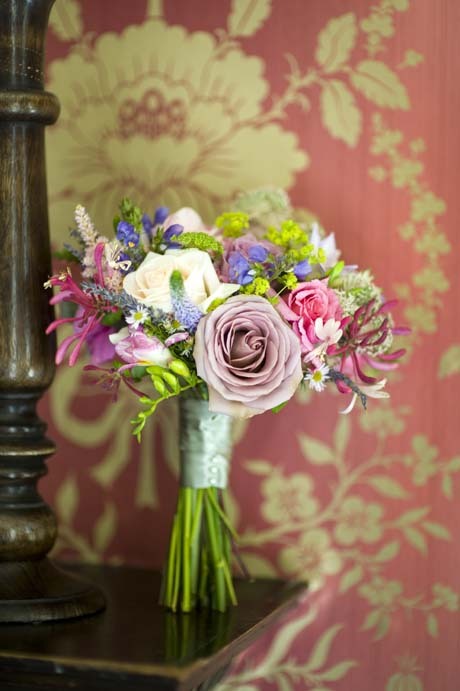 The bouquet in the bottom image is more about nigella (love-in-a-mist), peonies, passionfruit flowers and clematis foliage. Simply divine. 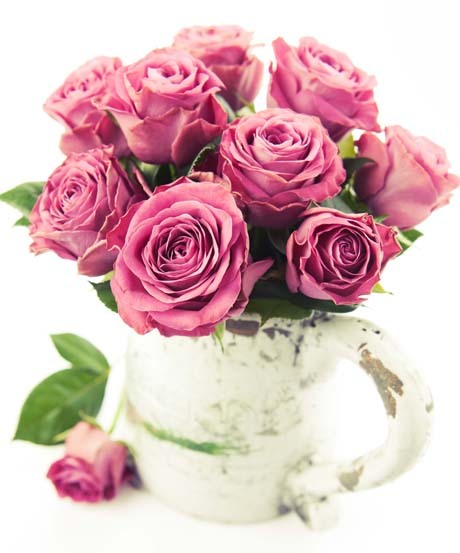 It’s not the typical time of year to plant roses (at least not in the southern hemisphere), though potted roses can actually be planted year-round. In fact, it’s not a bad time of year at all to get your roses, because you’ll be able to see them in bloom in the garden centre. The colours on the labels are often not a complete match to the actual blooms (that’s to do with the printing process), so to see them in flower is a good option. Particularly Flower Carpet roses. My Flower Carpet Amber (bottom image) is flowering its socks off right now and it looks spectacular. This rose was introduced in 2009 and recently won an award in the All Deutschland Rose Trials, considered the world’s toughest test of rose performance. It’s certainly a great performer, producing masses and masses of blooms from spring till late autumn. It inspires passersby too. Planted at the front of my house, I often see people taking photos (truly) as well as cuttings! Well, at least there is plenty of it to go around. 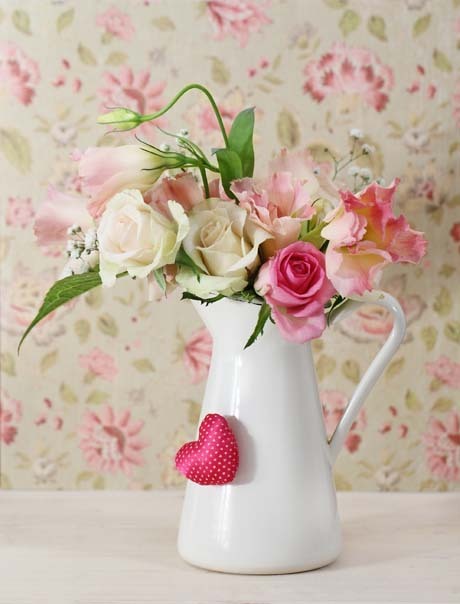 If you are planting roses now, make sure you water them well over the summer period. Plant them in compost-enriched soil in full sun, and feed regularly. 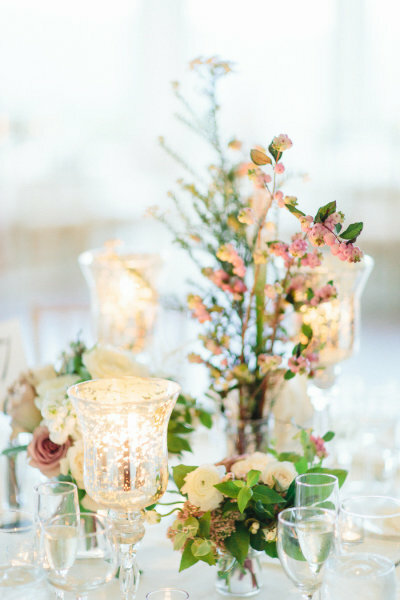 Who would have thought to use manuka (leptospermum) in a bouquet? 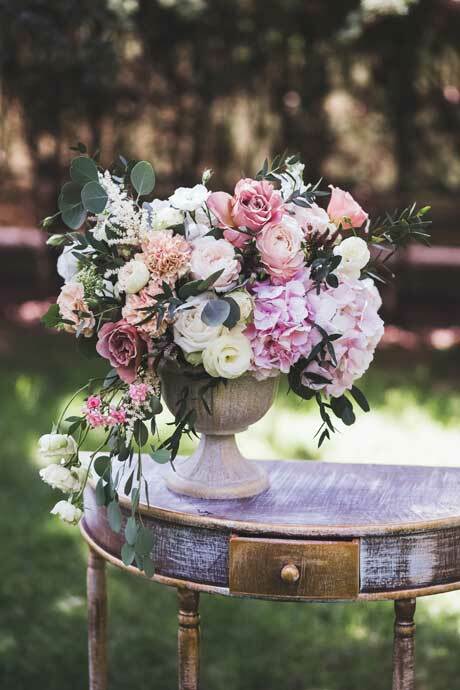 This beautiful floral arrangement was created by Rebecca Shepherd and photographed by Elisabeth Millay. 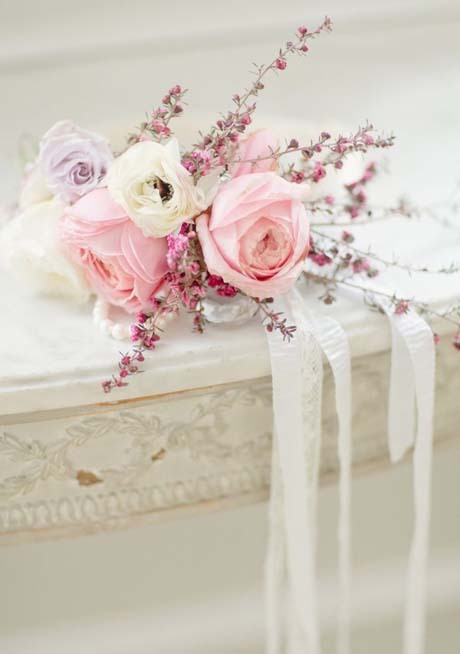 It’s so simple, yet stunning, with purple, pink and white roses and branches of manuka. This is, in fact, a belt, which is tied around the middle of a bride’s waist. 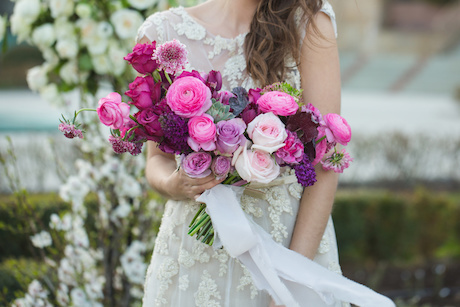 Check out more of this lovely photoshoot over at the amazing Chic Vintage Brides. Roses are dormant in winter so it’s the best time to plant bare root roses. Containerised roses can be planted too. 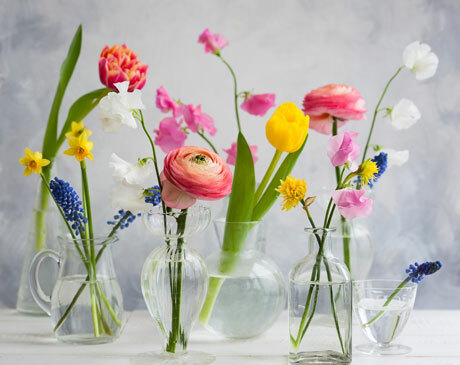 For armloads of cut flowers over a long period, choose Floribundas and Hybrid Teas. Take a trip down to your local garden centre and you’ll find a large number of varieties in stock. Avoid plants with shrivelled canes as that’s a sign the plant has dried out – and a sure bet for failure. Buy plants that have at least three strong, healthy looking canes. When planting, dig a hole big enough to accommodate the roots when spread out, around 40cm wide by the same deep. 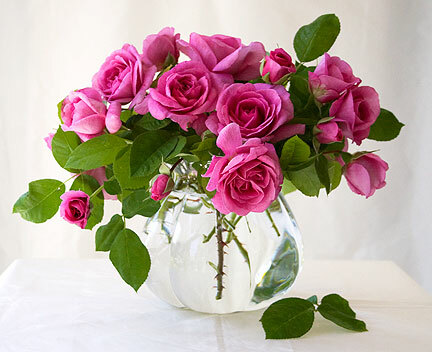 If planting several roses, don’t squish them together, as this reduces airflow around the plants, raises the humidity levels and encourages disease. Position roses a metre apart; climbers and ramblers can be spaced at a distance of 4m. Add slow release fertiliser to the bottom of the hole, add a small amount of soil to form a mound, then place the rose on top of that. The bud union should be level with the surface. Backfill with soil and water well. Get a head start on spring by ordering your rose bushes for winter planting. 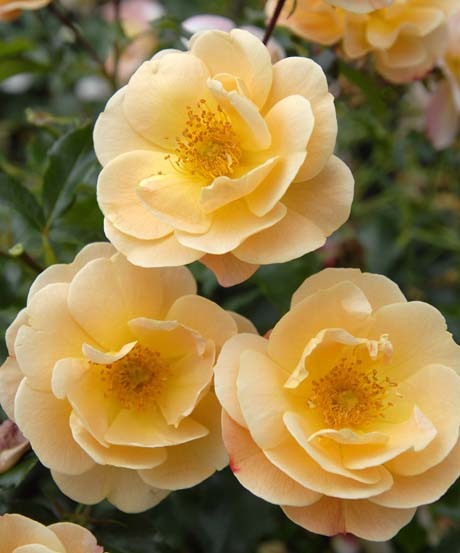 Look online for specialist rose nurseries. There are a far great number of rose varieties and species available by mailorder than there are at your local garden centre. Bare-root roses will be sent out in winter, when they’re dormant. 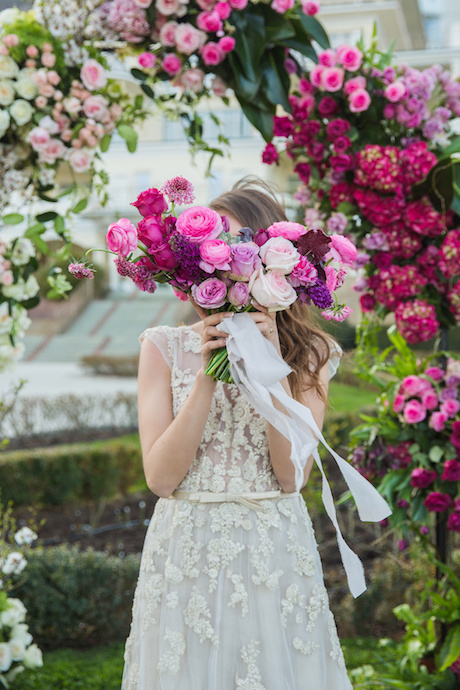 In the meantime, be inspired by these delicious photos from Style Me Pretty. 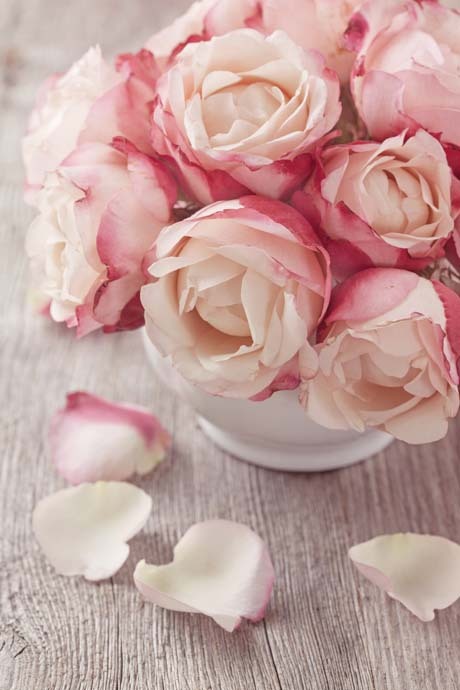 I adore the light pinky-brown rose. The berries look to be from the snowberry (Symphoricarpos), and the white flower in the bottom photo is love-in-a-mist (Nigella).